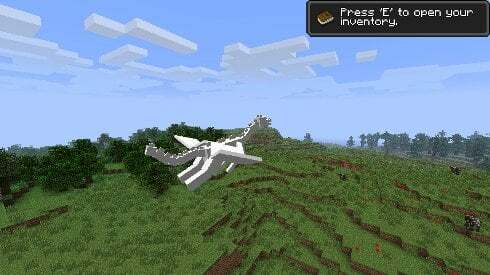 The skies of MineCraft are about to get a bit more crowded. 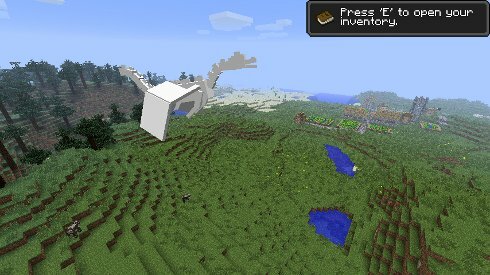 New screenshots from the game's creator, Markus "Notch" Persson, show dragons taking flight in the game. It should be noted that the dragons aren't quite done yet. They're pretty plain-looking at the moment - even plain by MineCraft standards. They just look like misshapen clouds at the moment. 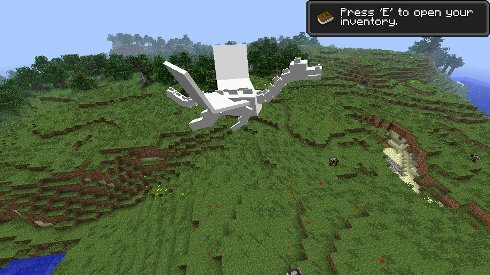 "And texturing this dragon is going to be.. interesting.. I'll keep working on this way into this weekend, probably," tweeted Persson today. 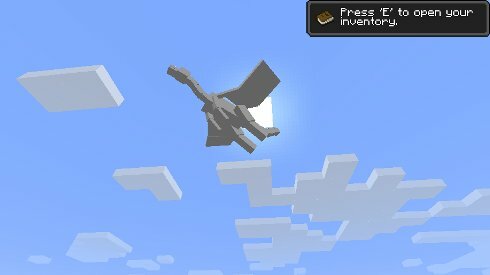 MineCraft is a sandbox building game. 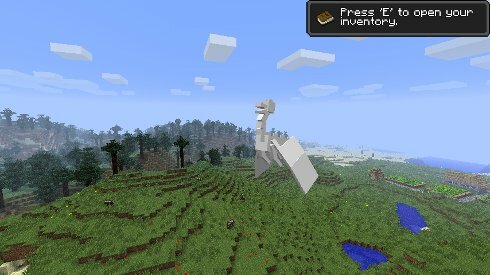 Players are free to travel a randomly-generated game world, collect resources, and build whatever structures they can dream up. They can, however, take damage from environmental hazards or monsters. The game's already got some fierce monsters - spiders, zombies, creepers - but dragons would be a much bigger nuisance. No word on when we can expect these dragons to go live.